In 1949, Act 14 (Sect.1112) made it illegal for a public school teacher to display any kind of religious symbol or emblem in the classroom. 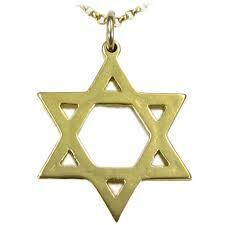 This fall, two East Pennsboro Middle School students complained about the Star of David worn by their teacher. “They are there to learn about education, not to learn about religious points of view,” said Ernest Perce, the parent who filed a formal complaint with the district over the necklace. He says the law is being violated. “Today I am an Orthodox Christian,” he told ABC 27 Tuesday. His child was one of those two students who took issue with the necklace. ABC 27 did not get a reply from the school district’s attorney, but Perce did. A letter he forwarded states that the school will not require the teacher to “discontinue wearing the religious symbol,” citing a ruling in western Pennsylvania that allowed a teacher assistant to wear a Christian cross. Perce says if the district doesn’t act, the 1949 law states that the board could be fined and the teacher suspended. Click on the link to read Where Are All the Teachers Who Promote Teaching as a Career? This entry was posted on November 19, 2014 at 10:27 pm and is filed under Teachers Stress. You can follow any responses to this entry through the RSS 2.0 feed. You can leave a response, or trackback from your own site. I do strongly think that the parents’ authority ends (or is at least very limited) once their child walks into the school. Parents DO have an important part in education, BUT there is a limit! Very true. Those limits seem to get tested all the time.